Quiz: Do I get enough iron in my diet? 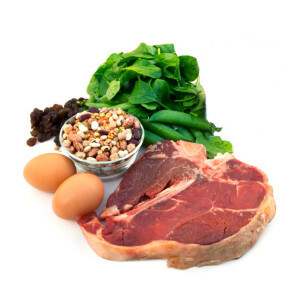 It is important to get enough iron because iron builds red blood cells, muscle proteins, and healthy bones. Most importantly, it helps your blood cells carry the oxygen it needs for energy. Take our quiz to see if you are getting enough iron! 1. How often do you eat foods such as: beef, pork, veal, chicken, liver, fish, or clams? 2. How often do you eat a high-iron cereal? 3. How often do you eat beans, lentils, nuts, tofu, dried fruit, or spinach? 4. Do you take an iron supplement (either a multivitamin with iron or an iron pill recommended by your doctor)?